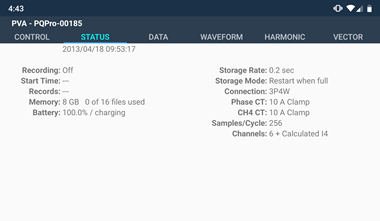 Basic setup of the analyzer such as update clock, storage rate setting, and format memory card. 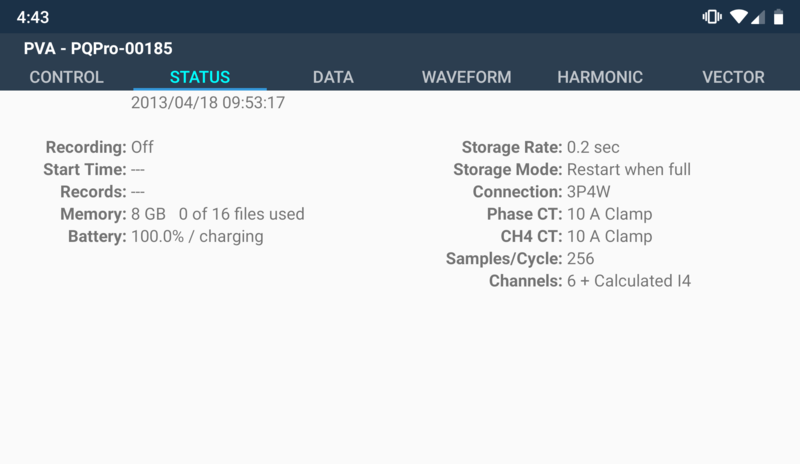 Check general status of the analyzer such as battery level, memory card storage level, and connection configurations. 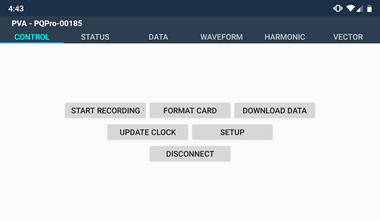 Start / stop a recording. 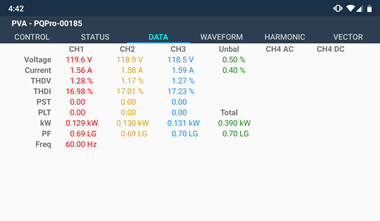 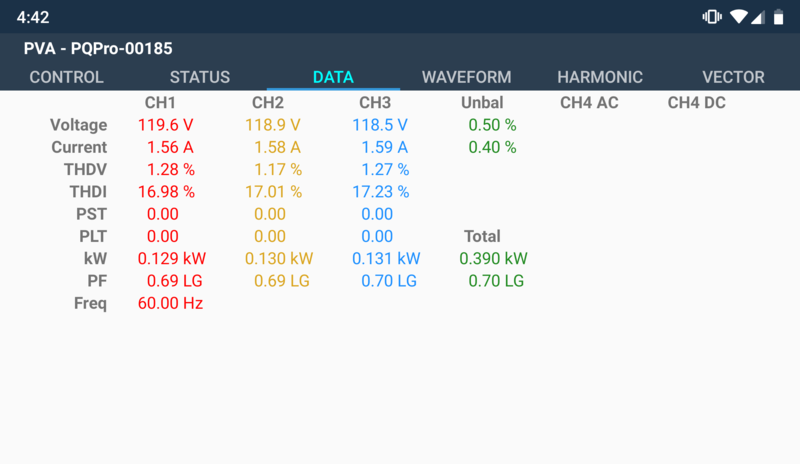 View real time data such as RMS Voltage & Current, kW, PF, Freq. 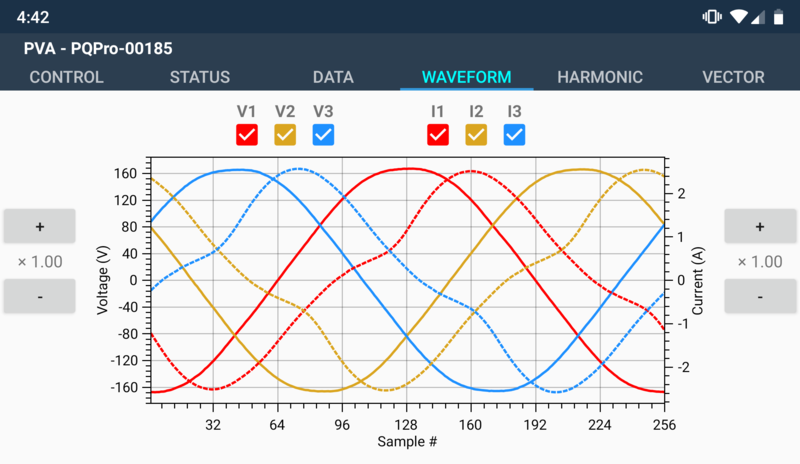 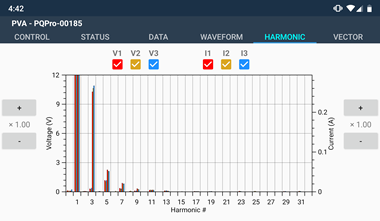 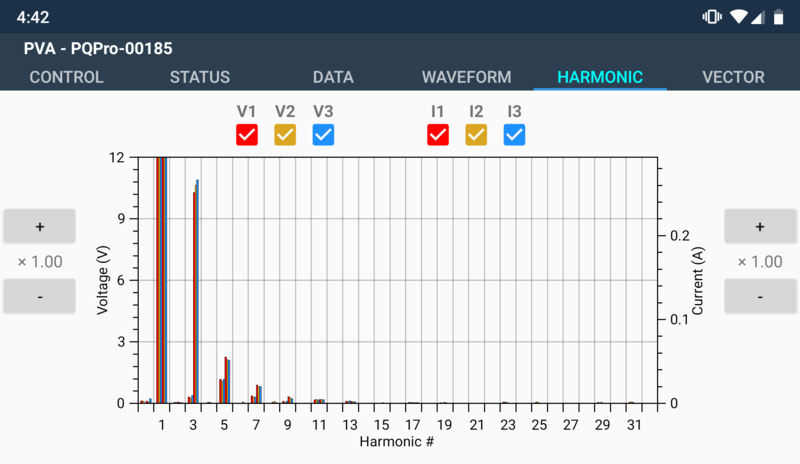 View waveforms, harmonics, and vectors. 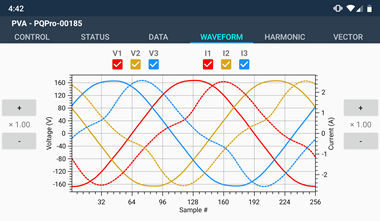 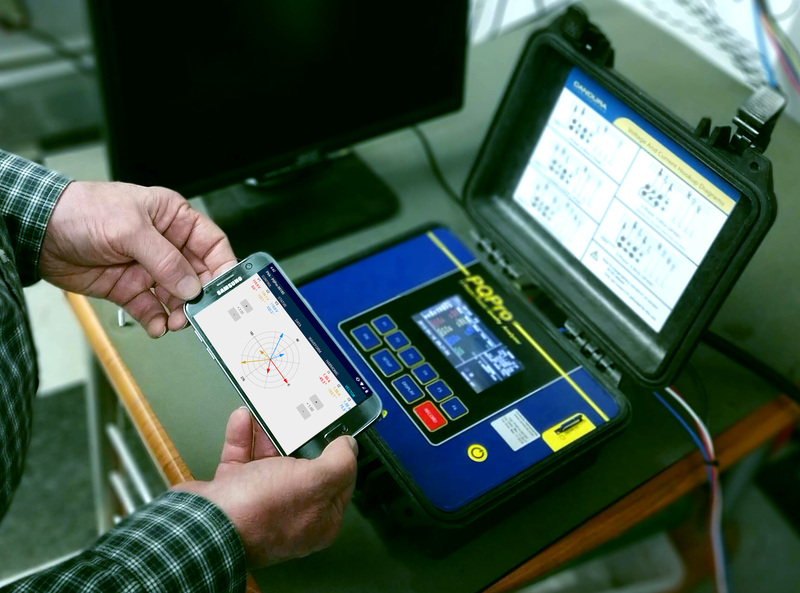 Download recorded data to Android device, then send the file for further analysis with PV II™ Data Analysis Software. Mobile device with Android 8.1 (Oreo) or higher. 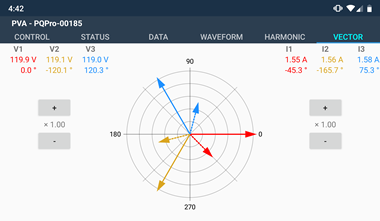 PQPro™ or EPSD™ must be equipped with Bluetooth® radio which is an optional feature. 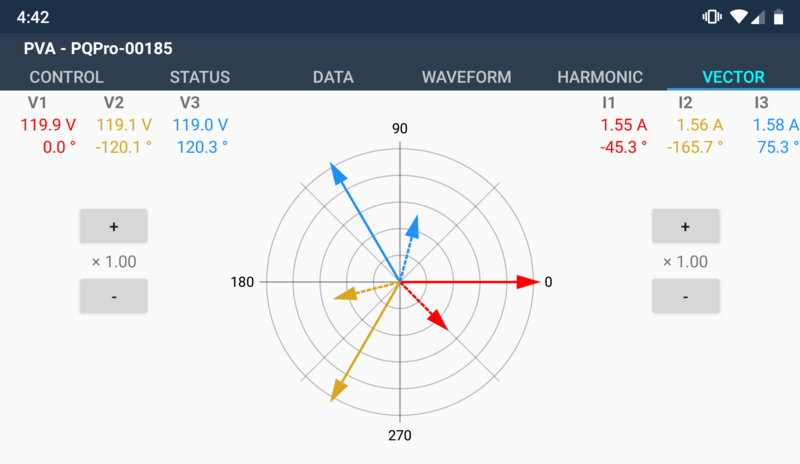 Download APK to install app on Android devices.